It took me a while to get to this review and recap, one reason being because my girlfriend has been sick so I've been with her for the past week but also because I've been preparing for Frostbite 2019, so I haven't found the time to write! BUT finally as I'm in bed after a good rest from catching my girlfriend's cold, I figured lets talk about LAN ETS, probably one of the worst events I have ever been to, but also one of the greatest experiences at the same time. I'm going to talk about the tournament itself, answering questions about why the tournament was bad, taking feedback from the TO's as well as the players while also giving my own perspective. I'm also going to recap my own experience, talking about my matches and my mindset and update you with my health during the event! I woke up SUPER excited for the event. 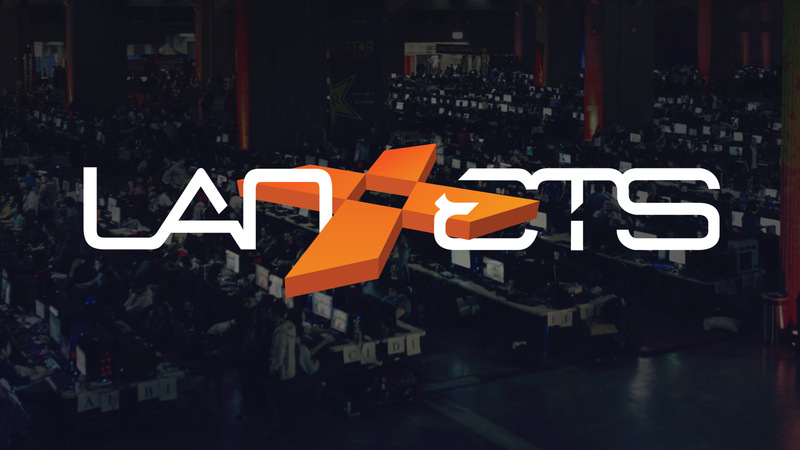 LAN ETS 2019 was going to be the largest LAN ETS yet for Smash Bros. and I knew everyone was going in terms of Canada competition. I was also housing Mickel, and Tamim (Mistake). We all got up, kind of concerned but still ready to get out there. Shoutouts to Mama_Dele who made us a big brunch meal that kept us going! we ate up, and realized brackets were not yet finalized... It was the day of the event and things were still being switched around. This was going to be one of the first of many problems of the event. But at the time, we weren't going to let it get to us! Tamim wasn't feeling so good, he was getting sick with a sore throat, and he for sure was not in the mood to compete. But after a good meal, some talks and warm ups we were headed to the venue around 11! It's show time! First off, I wanna bring up something. THE SCHEDULE. The schedule was horrible. This was a 2 day event (everything on Saturday, and Sunday being top 8 for singles) and the event was only beginning at 12pm, which started on time but I had a gut feeling ever since I saw the schedule that this was not going to end good. BUT I have confidence in MTL, and I know what we can do but then, the Doubles tournament started and it started out normal. Of course, I was teaming with my brother "Jayy" from Mirage. We were aiming for top 8, and we knew we had quite the climb. This set was def one to remember, on paper it says we won 2-0 easy but in the match it was super close. It could have gone either way: Justin was one of the best players from Southshore's community so I had no surprise seeing him doing so well in Ultimate. As for Kwico, he's a newer player in the community but he makes his Game and Watch super fun to watch, and always has something to show that allows me to learn. They surprised us, they had great follow ups and communication as well as great kill options using Cloud and G&Watch. Luckily we pull through! While we waited for our round 3... we waited 45-55 minutes for our set... it was ridiculous. WE didn't know what was going on at this point. I was hearing around the venue that brackets were getting messed up, singles was going to be delayed, doubles was going to be put on hold, while our stream was going to be taken down at some point. I was confused and no answers were being given. I took a second and looked around the venue. It was super dark, literally so dark people were taking out their phones for light to fill out their brackets THAT WERE DONE ON PAPER BY THE WAY I felt like it was the dark ages. I noticed there was no Pool Captains, btu the players themselves which delayed the tournament since they themselves had to play. There was no microphone or anything as well so when the TO had to speak, no one could hear him. People were crowding around him reporting matches, it was taking SO long just to report 1 match. I then noticed the layout of the smash area, the room was LARGE fitting a bunch of esport activities while smash was once again, shoved in the corner. We had a little section, where tables were stacked together in rows while players would walk through. It was very crowded, and not fun to get through. Players around were getting annoyed, some Round 1 of doubles haven't even played yet and I was becoming hungry knowing my singles pool was about to start and I was still waiting for my doubles set while it was 1:30pm and I haven't eaten yet. I'm going to be honest, I don't remember much of this set. Though it was awesome seeing the players from Ottawa come down and give us a dang good set! Again, it was close but we pulled through. Aerious I remember was being a bit too agro off stage which resulted in early kills from Jayy and myself. I love that about us, we stick together and back each other up so if one of us is being bullied, we got our own body guard ready! This set qualified us into Top 8, and I was SO happy, and starving. The TO then announced that Doubles was postponed and would resume around 9pm. I was later told my pool for singles was delayed, and to come back at 2:30. SO I went out to visit my girlfriend, who was working at a Cheerleading Competition on the other side of the venue. I surprised her, and we got some lunch together at Sushi Shop I explained all what was happening with the event, while she told me her lovely day on the opposite side haha. I then got a call saying that I was on stage NEXT from my mom, not the TO's. I was like, "WhaT!?" they told me to come back at 2:30.. and it was 2:10 at the time. I RANNNN across the building getting to the stage, at least I took a few bites as I was on my way. Without further adooooo let's begin Singles! Before singles began, I was told to come to the T.O desk. There, was waiting for confirmation if seeding was ok from my view. Apparently many complaints have been made about the seeding, the night before the tournament I was seeded to be 7th or 9th. Which I argued and didn't agree with since every event I've participated so far in I've been top 3. I argued I should be top 5, 5th seed at least since I know I wasn't active in the MTL community. This was countering another player's seeding Z, so I went to talk to him so we can make something out of it! There, Z explained that the seeding is completely ruined. Z as a TO, is able to see things players sometimes dont. He noticed players who had better records at locals were seeded very low at the event, as well as the top online players being seeded low while just the popular players are seeded very high. I then looked at the bracket, and it looked true. He looked upset, I felt bad. I wanted a higher seeding which I saw put him lower, but i also saw everyone else's seeding being a mess. I was suddenly realizing man... I don't think anyone wanted to play at the event anymore. I was SO ready. This set was on stage so I won't talk about it much! You can check it out on SSBMontreal's youtube! 1st game he ended up having a good lead. Ridley's punish game is insane and at the time I was still trying to understand it, I died about 60% from an fsmash and had to make a big comeback to take game 1, luckily I did! In game 2, It was a 2 stock and I was proud of the way I played because I love to learn. Ridley is a character that currently really blocks me, so while playing this Ridley I was learning a lot about the character and how to punish him. Mario vs. Sonic the way that you wanna see it, both of them going head to head! I always find this match up fun mostly because I get to bait Nintendo's mascot chase the fastest thing alive which doesn't really go in Mario's favor! Game 1 though was really close. He seemed to have really understood how to punish Sonic, bait and approach. SO I decided to pull a twist and go Kirby in Game 2. For game 2, it was a 2 stock. Kirby did a lot better by surprising him, putting out moves like tilts that were longer range than mario's moves while coming out a lot quicker than his moves. It went well, and I was happy I put faith into Kirby! This was another set on stream so I won't spend much time! AkaGenesis is a good friend, and was apart of my crew back in S4 Heart of Hydra, so we were very familiar with each other's playstyle. Though, we have not fought in Ultimate yet and both ROB and Sonic have changed A LOT since then. Luckily, I studied ROB and knew what he would be searching for in terms of grab set ups, and snipes with projectiles. I managed to stay out of his range of grabs, while also punishing his projectile patterns. It was 2-0, and it was a blast playing him! I also got to learn a lot about the new ROB. This set qualified me into Top 32 Winner's Side! This was the part of the tournament that everyone was about done and wanted to leave. When my pool was finished I was realizing what everyone was going through, I noticed top online players weren't seeded properly and was fighting MTL's best players round 1 in pools. Venom almost losing to a Top online ROB player round 1, while my brother Jayy lost to an online Lucas player round 2. Other players such as dunston and more were effected. Pools were also being ran SUPER long. My brother Jayy's pool started at 4 and ended around 7. The others that started at 4 were around the same time of ending. It was ridiculous. I saw the frustration in my brother's face when playing, and waiting an hour just to play again. I saw people playing friendlies, exhausting themselves because they're trying to keep their hands warm for the bracket. I saw large crowds around the TO desk trying to report on pieces of paper that were scribbled, messed up from how dark it was so people couldn't see where they were writing. And another issue, we were losing set ups..... After speaking to the TO, I found out that Due to the Pirahna plant code, some of them weren't working on some set ups which caused the game going black. From 24+ set ups the tournament was going down quick to less than 18. Adapters were also stolen, making even more set ups unaccessible. The layout of the event too was just too crowded, the way that the tables were set up with 200 players around them just made it so hard for everyone to get around comfortably. It was getting stuffy, and overwhelming. I saw exhaustion on everyone's faces as players weren't having fun anymore, and I was one of them. I finished my pool around 3:30, and I've just been waiting to play again. Except, with the atmopshere, the darkness and just being annoyed, I was starting to get mentally exhausted, I felt myself not wanting to play, and getting into my head. I decided I needed to get out of the venue. So me, Mickel, DragonMatt and my friend IHab left to get some dinner! Nothing like good old Canadian food like TIm Hortans to give us some fuel! At the opposite end of Tims we saw Darkwolf, Smokk, Ramzy, Dunston and more just chilling in the corner looking like they were ready for bed, especially Ramzy after him working a late shift. We hung around them for a while before we went back for bracket FINALLY at 7:30pm. Oh. and we lost our stage and stream for some reason. Papillion has been a great friend of mine since early 2018, we met at a local weekly where he was telling me about his school and smash club. I went over to his high school to play with him, Wistiti and a few others to help them get better but to also learn match ups and have fun! he's been on a monserious run ever since Ultimate's release. His improvement has been quick, and with the help of Yoshi's buffs he was just going to keep rising. I went into game 1 with a really bad mindset, because I was mentally exhausted, I didn't wanna play anymore. I was feeling anxious, annoyed, tired, and just not there. BUt I couldn't give up I hung in there. I took the L on game 1, but because I did it woke me up for the set, I then 3-0'd him. But man he put on a great show. He did an amazing job at punishing my approaches, while combo'ing hard, and learning from what was going wrong for him as time was going on. He is only going to keep getting better. Smokk, completely destroyed me. Now I wanna talk about this set. Smokk I know has been working very hard for me specifically. I was the only player left besides Ally in Montreal that he has not taken a set off of in both Ultimate or Smash 4's history. I knew he wanted it bad, and he got it GOOD. He has tried many characters, learned in and out my style and characters. When he pulled out wolf, I was surprised. I've been fighting his Palutena, Snake, and Ganondorf in Ultimate so far, so I was excited to see something new. Especially since I have never even fought Wolf yet. People were telling me how good Wolf was, but I didn't realize it until Smokk's Wolf. He was playing safe, patient, waitied for over commitment and then would punish sonic's landings and recovery options. It left me helpless, and it wasn't getting easier as games were going. I just wasn't learning, I think it didn't help with my mindset, I was all over the place but at the same time I was also just being so proud of smokk. I was seeing his improvement, the way that he was learning so quickly and growing so much. I couldn't help but be so proud of him. When he took that final stock off of me, the only thing I could say was congratulations and I was genually so happy for him seeing that smile and little pop off coming out of him. I'm going to be honest, I played horrible and I knew I was playing horrible. At this point, I wanted to leave. My mind was horrible. Before I talk about this set I wanna talk about something, As you guys know from my 2018 blog I have been seeing someone about my anxiety attacks learning to manage them. I've recently before LAN ETS was put on medication to help maintain the anxiety, but for the first 2 weeks I'm supposed to get side effects such as becoming more anxious, nausea, drowsy and more. Which I was very nauseous all day, and I knew I was getting tired. I was shaking, and I wasn't feeling well. I waited about an hour before playing my next match, and that gave me enough time to get into my head thinking about my match saying "man maybe im not good " etc. I was letting the negativity get to me from the event. I sat in that chair with gommi, and luckily, he's a good friend and someone I know who I always have fun with. Because of this, it pushed me to learn and understand the new Rosa changes. I was having fun, playing him and just taking my time. But man, I was autopioloting. Spinning, homing attack, my head wasn't there and i kept telling myself "you gotta do this" . I did, but man i did not feel good after that set. SO I did it, I made Top 8. But it was the first time I did not feel good about it. I was in my head, I wasn't feeling good and I was feeling messy and exhausted and I STILL had doubles to do for top 8. I decided to give my girlfriend a call. I needed a release, in which she was able to help me breathe and reset. I spoke to her about what was happening in my head, the negetivity and exhaustion I was feeling,. I cried a bit on the phone. And no don't worry, it's a good sign because every time I cry and release, I feel better. It's a way for me to get my stress out. She listened to me, and also made me realize "hey. look. its doubles. doubles is your fav thing. So go have fun with your brother, be a team and just play! have fun" she was right because doubles is always a way for me to just relax and have fun. So that's exactly what I did. We were up against the team that put Venom and Smokk in losers, and that's never an easy task. Nuke and Gommi have been a static team since the beginning of smash 4, so there was no sleeping! But there was fun. We're all close friends , and have been in HoH together so we all knew each other really well. This honestly helped me out a lot. My girlfriend was right, doubles reset my mind. I was smiling, laughing, and just having a good time following jay, backing him up, taking the lead and keeping up the follow ups. we were able to take it against them 3-1, it was a great fight and a great way to heal my mindset. Honestly, we got washed. IT wasn't even close, one thing me and Jayy are currently trying to figure out is how to survive. We tend to lose stocks early, and this is something we're working on. With Tamim and Ally, they did an excellent job at just seperating us. We couldn't stay together and socks were disappearing left and right. They came back from the dead as they always do, if they're down they come back full force, and they took us out with no hesitation. We would be doing fine, winning neutral, winning punishes, ahead in %, etc. then IDK what happened.... I saw Jayy getting frustrated. as his stocks were being taken away by Venom's F smashes at 40, they would just disappear with set ups. He was getting frustrated and it was just going down from there. We gave it our all though, and didn't give up without a fight. I know me and him have much to learn if were going to finally take these guys down! So only time will tell, but we're gonna get this eventually Bro! Tamim. Felt. Horrible. I. Felt. Horrible. We were all horrible in the morning. We woke up around 10, and Tamim was extremely sick with a bad flu. We got him medication and breakfast, as for me: my medication made me very nauseous that I wasn't able to eat. Luckily, we have such a good team around us. My girlfriend, mom, Mickel and Jayy helped us out supported us all the way to the venue giving us their energy! My demon for Smash Ultimate. My current demon, and my smash 4 rival. His Ridley has been a problem for me, with all the Sonic experience he's been getting he knew what to do. Ridley had the tools to treat the Sonic MU as a Mewtwo -Sonic match up of Smash 4. Which is hard. Ya it's easy to juggle him, but killing him? Getting in? THAT's the hard part. He's so good at his punishes, knowing where I'll be and when. He's great. BUT. I was learning. we have fought 3 times now, and I've been getting closer every single time. So even though I lost, it was last hit every game and I knew I was getting it. I felt motivated, happy and proud of 5th place. I not only got my seeding placement, but I knew I've improved against my demon and was able to keep my composure. I was happy. SO LAN ETS for sure wasn't the best event. The TO agreed that he could have done better, and has made a lot of mistakes which I hope he learned from for the next event he runs. But it didn't help that LAN ETS did not treat smash fairly in terms of stage, scheduling, and venue space. Hopefully next year's event will be better because LAN ETS has been getting worse and worse every year. This time, being the worst. This event though, did help me a lot in terms of mindset, keeping composure while being under the influence of many personal struggles. I was proud of myself. But I knew I needed a nice break to addapt to the medication before competing again, which is at my next performance at Frostbite 2019, Stay tuned. Man this was a long read, but also good take notes on what to do at events so it won't be a giant mess. I'm really sorry to hear how much of a horrible experience you all had. Not only with getting the flu bug but the whole scheduling, seeding, and Smash Ultimate not getting the respect it deserves at this event. I read all of twitter how it was going down. The commentators..... dear god I am so glad Mickel and Arsane took over for top 8 because the other commentators felt so dead pan and feel like playing favorites. Also the place was so dark that hardly anyone could see? That's safety hazard just waiting to happen. Still I'm glad you did well in both singles and doubles. I hope the organizers at LAN ETS takin into account all the criticism that they have been getting to hopefully fix the issue and not let this happen again next year. Well see ya at tne next tourney Kels.